Sign Up for Essay Bootcamp on May 31st! Attention young scholars of the universe: We understand your scholastic semester is coming to a close and Story Planet is here to help you make a smooth literary landing. 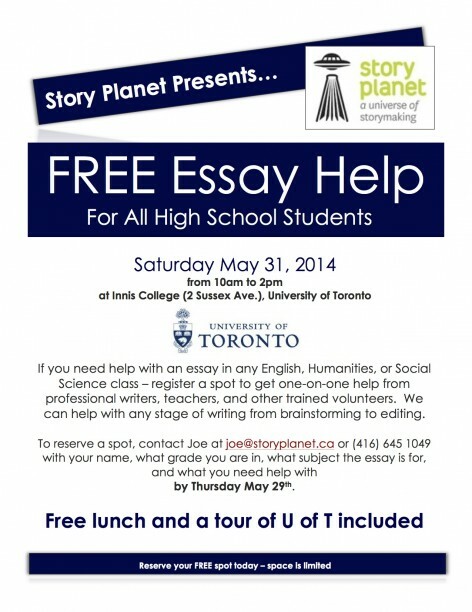 Please contact joe@storyplanet.ca to sign up. May, MadLibs, and a Mother’s Day Tea Party! 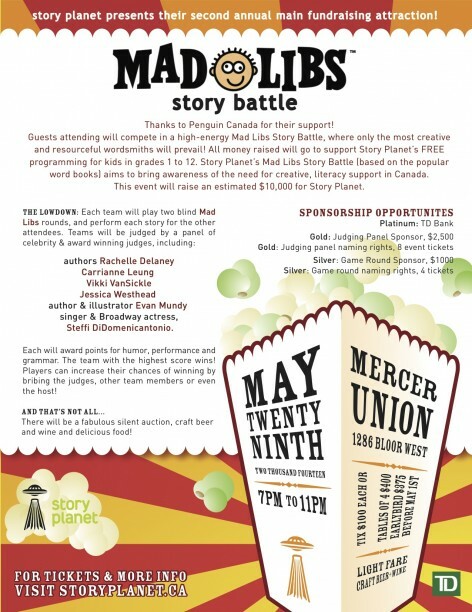 MadLibs, our annual fundraiser, is back on Thursday, May 29 at Mercer Union (but you knew that already). The big news is that we’ve lined up our celebrity judges (drumroll please…): author and educator Carianne Leung, writer and editor Jessica Westhead, novelist and publicist Evan Munday, children’s book author Vikki Vansickle, middle grade novelist Rachelle Delaney, and last but certainly not least, actor and performer Steffi D! Stay tuned to our Facebook and Twitter for more info on these fabulous folks! We’ve also been told that May is a special month for mother’s, and we couldn’t be happier to help you celebrate them! On Sunday, May 25, we welcome author Lynn Thomson to the ITA for an afternoon tea party and reading from her new memoir, Birding with Yeats (House of Anansi). Thomson tells the story of learning about bonding over birdwatching with her son, sure to warm the hearts of mothers everywhere. That’s all for today! Now get out there and enjoy the month – we know we will!